The 2019 THE Awards are now open for submissions. The THE Awards are considered one of the flagship events of the sector, celebrating the achievements of outstanding individuals and institutions across a range of disciplines and categories. This year's Awards will also incorporate elements of the THE Leadership and Management Awards from previous years, providing even more opportunities to honour UK universities across a broad range of activity. evidence showing why the schools stands out from the crowd in the competitive business school marketplace. Judges will be looking for bold and creative strategies and initiatives that have helped the school to improve and flourish in the academic year in question. It is open to all business schools in the UK, including those situated within universities and those in the private sector. Entries can be submitted for nomination between 11 April and 5 June 2019, with the shortlist to be published on 5 September. Entry guidelines and full details of all 23 categories can be found at www.the-awards.co.uk. 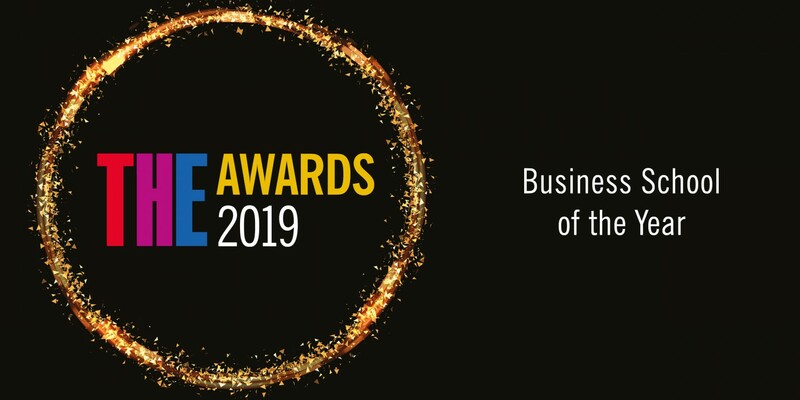 This year’s awards ceremony will take place at the Grosvenor House Hotel in London on 28 November, and is the culmination of the two-day THE Live event, taking place at the Grange Tower Bridge Hotel.